Psychologists in the U.S. found that across a range of abilities, children at Montessori schools outperformed those given a traditional education. In fact, 5-year-old Montessori pupils were better prepared for reading and math and 12-year-olds wrote significantly more creative essays with more sophisticated sentence structures. Some of the biggest differences were also seen in their social skills and behavior. 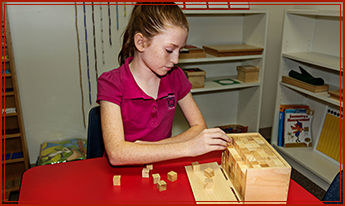 Montessori House of Ocala, Inc. prefers a more hands-on approach to teaching. Our curriculum varies, though, depending on a child's age and specific needs.